There’s nothing more glorious than the birth of a child. In the Armenian Apostolic Church, the sacraments of Baptism, Chrismation (Confirmation), and Holy Communion are administered at one time. This is the child’s initiation into the Christian community. 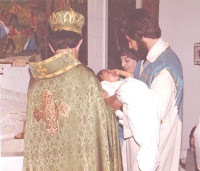 The child is baptized as an infant, generally by the 8th day after birth to the 40th day, according to Apostolic Canon #13. 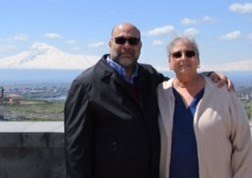 This sacrament is administered in the church rather than the home, according to the teachings of the Armenian Apostolic Church - unless it is an extreme emergency, such as a child’s ill health. Just as birth is necessary to begin life, baptism is necessary for a child to start their life as a “child of God”. Confirmation provides strength in the child’s body and mind to live as a member of the church. Through Holy Communion, the child receives spiritual nourishment - the body and blood of Jesus Christ, for salvation. After the ceremony, the celebration begins! A traditional dish that is served at christening celebrations is Hassa. My Aunt Arpie was the hassa maker for our family’s christenings. Be warned... you must eat this with a very small spoon, and try not to breathe in as you eat it. The powdery ingredients will fill your sinuses! * The starred ingredients can be found in most Middle Eastern grocery stores. 1. Ground chick peas in a blender or food processor. Sift and re-grind any coarse pieces until powdery. Place in a large bowl. 2. Add the remaining ingredients to the powdered chick peas, and mix thoroughly. 3. Top with candies that were set aside for decoration. NOTE: Spices can be adjusted according to your taste preference. Soak the shelled wheat overnight, then boil for a couple of hours. There are two variants here: 1) you boil down the water until you have a dense soup, to which you add the sugar; 2) you boil the wheat just until it is tender, then you strain it. Add the sugar while the wheat is still hot and mix thoroughly. If you go with (1), put the wheat "soup" into small individual serving bowls and let it cool. Arrange the rest of the ingredients on the table. Guests can add whatever toppings they like. If you with (2), put the wheat in a large bowl and sprinkle with the cinnamon. Arrange the rest of the ingredients on the table. Guests can make a mixture of whatever ingredients they like. In the (1) variant, you can also add a couple of whole cloves to the "soup" while it is boiling, then remove them at the end. Of course, the list of ingredients is up to you. Instead of or in addition to the above, you can also have: shredded coconuts, pine nuts, any kind of small candy, sugar sprinkles, plain fennel seeds, etc. Oh, Ara, I love this! Thanks for sharing. I am looking for a harisse recipe and cannot seem to find one anywhere. Can you help? Try this link. 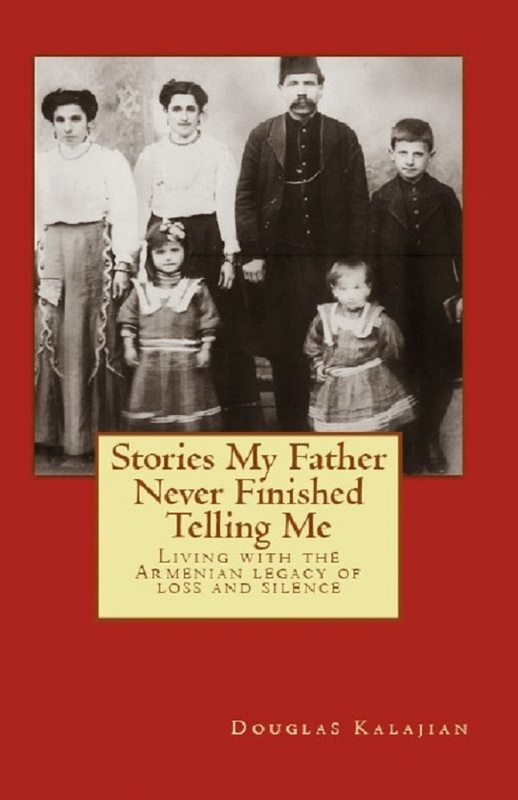 If this isn't what you mean, please email me at - robyn@thearmeniankitchen.com. Thanks!